The AeroConversions Trim System is a "tension" trim system that balnces the elevator controls with spring loading. 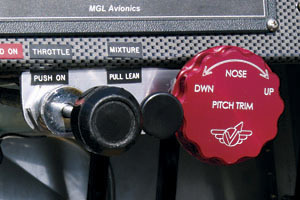 When you turn the Knob on the Trim unit, you are applying small forward or aft pressure on the stick (Nose Up or Nose Down), essentially applying small elevator pressures. 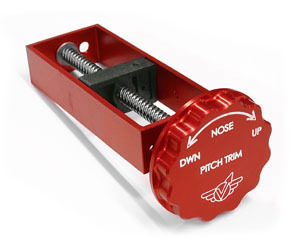 The AeroConversions Trim System works exceptionally well for trimming hands off at slow speed compared to using a trim tab system. 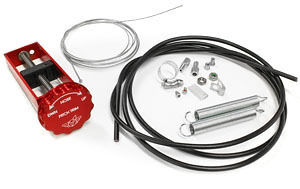 The Aeroconversions Trim System includes all the items needed for a typical installation along with an instruction manual which is written with enough general information to accommodate installation in a wide range of aircraft.